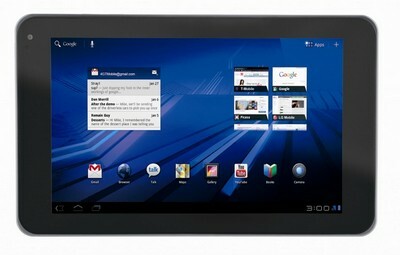 In an official announcement, T-Mobile partnered with LG Mobile Phones to unveil the first-ever Android 3.0 powered 3D Tablet. Promising premium mobile HD entertainment on the Tablet, the company unveiled the product, tagged as T-Mobile G-Slate. Powered by the Google Android 3.0 Honeycomb Operating System, the 8.9-inch HD 3D-capable multi-touch display on the G-Slate would allow users to record 3D and full HD video. The tablet is being voiced to be available sometime in March, marking T-Mobile’s second 4G Tablet. T-Mobile G-Slate would be the first ever tablet to feature 3D capabilities with built in support for 3D graphics. Adding 3D capability to the tablet give customers the opportunity to capture and share their very own 3D videos and experience 3D HD content, with the 3D glasses included. The Android (Honeycomb) powered tablet is built to handle speed on America’s largest 4G Network and is the first-ever tablet pioneering G-series of devices as well as running the latest version of Google’s Android platform, optimized specially for tablets.